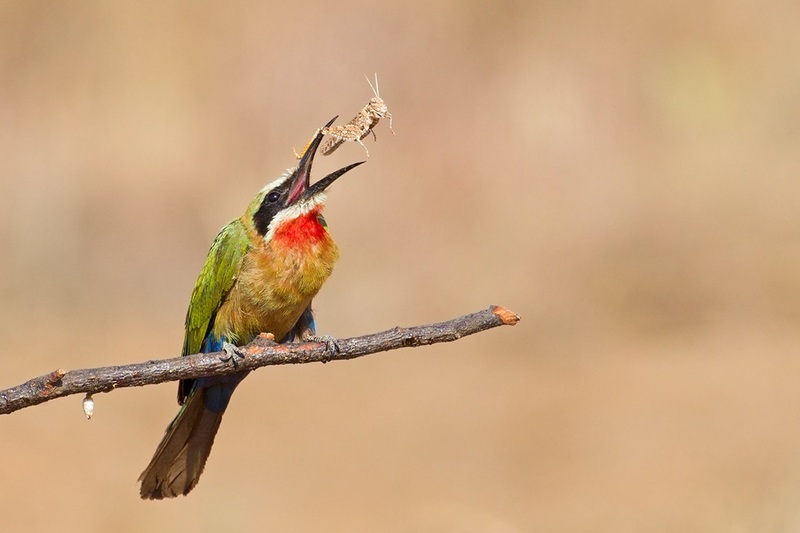 Bee-eaters are brightly coloured birds that mainly catch their prey in flight. 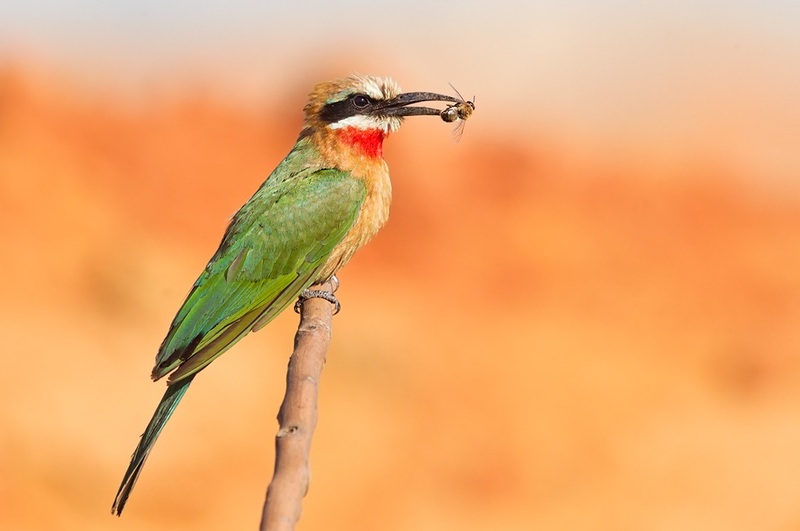 There are six species commonly found in South Africa – of these the white-fronted bee-eater is easily identified by its white and crimson throat. 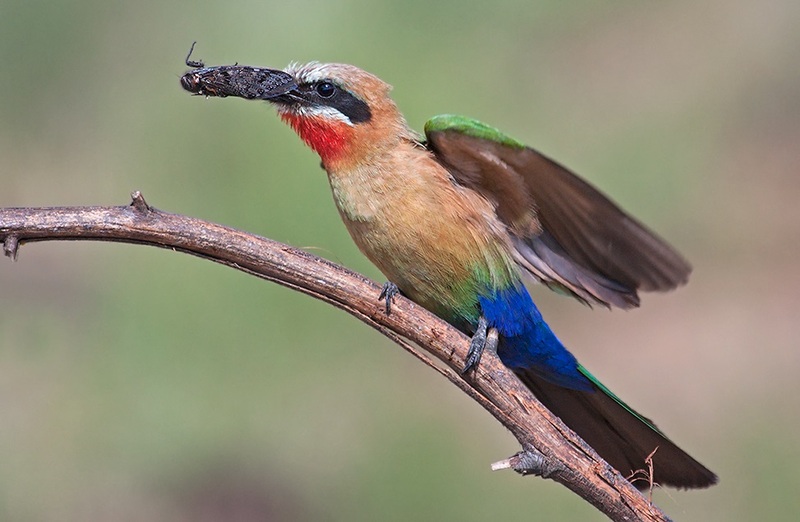 Two years ago SANParks Honorary Ranger Jan van Wyk discovered white-fronted bee-eater nests on a private farm in Mpumalanga. 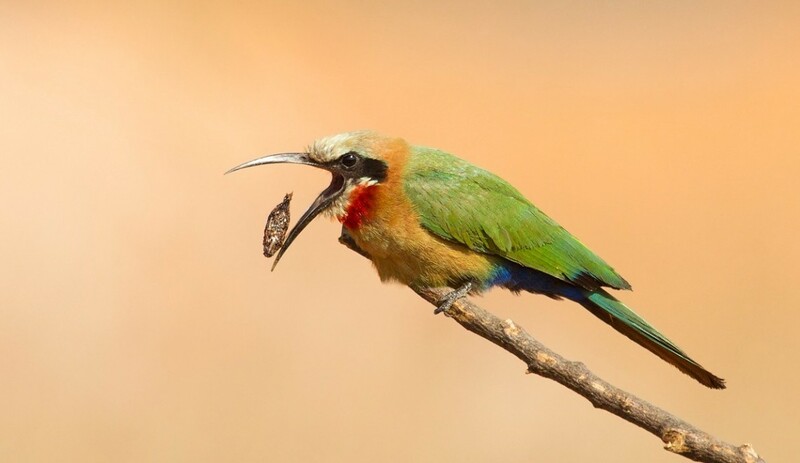 Jan has been monitoring the nests “for hundreds of hours” and says white-fronted bee-eaters have one of the most complex family-based social systems. 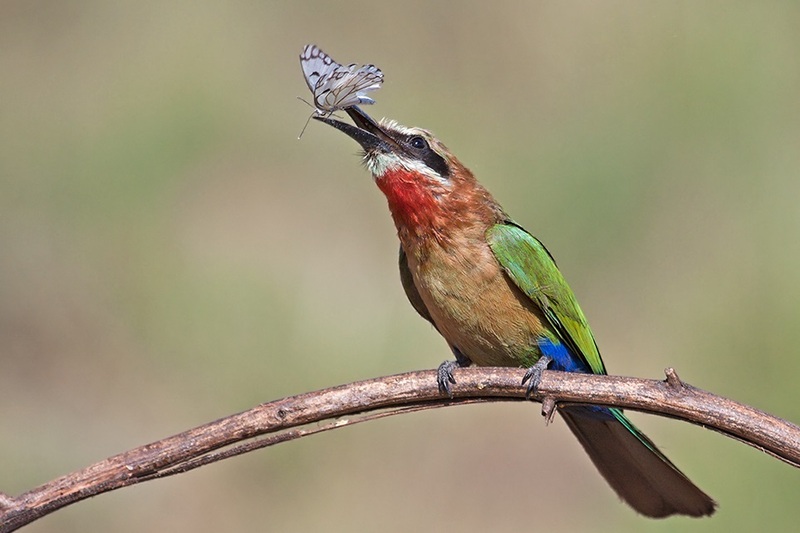 “They live in large groups, as we observed in our colony of about 100 birds. 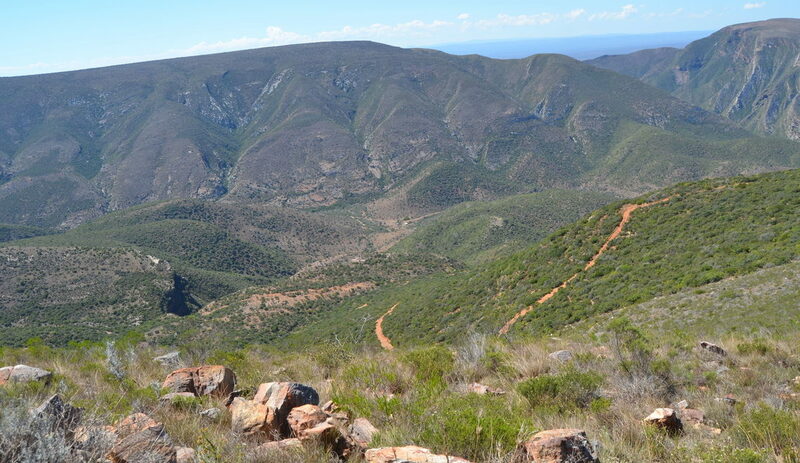 Colonies are comprised of extended family groups with overlapping generations and cooperative breeding. Non-breeding individuals become helpers to relatives and assist to raise their young. 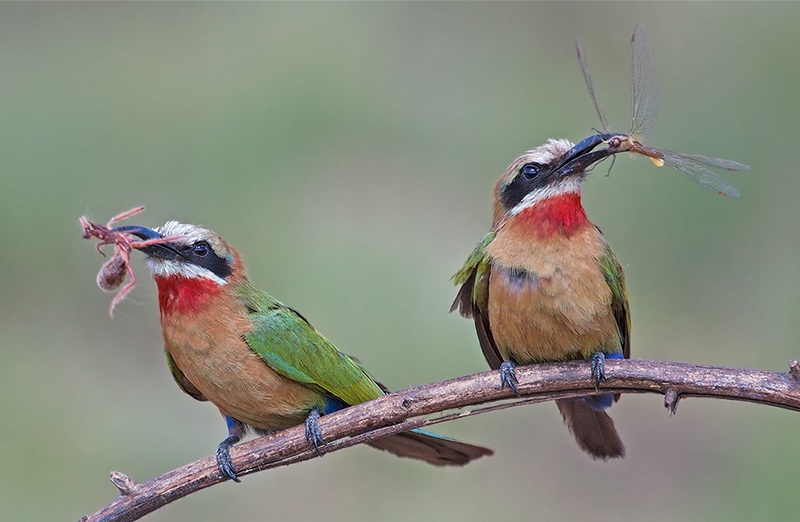 Food plays an important role in the courtship process, Jan reveals. 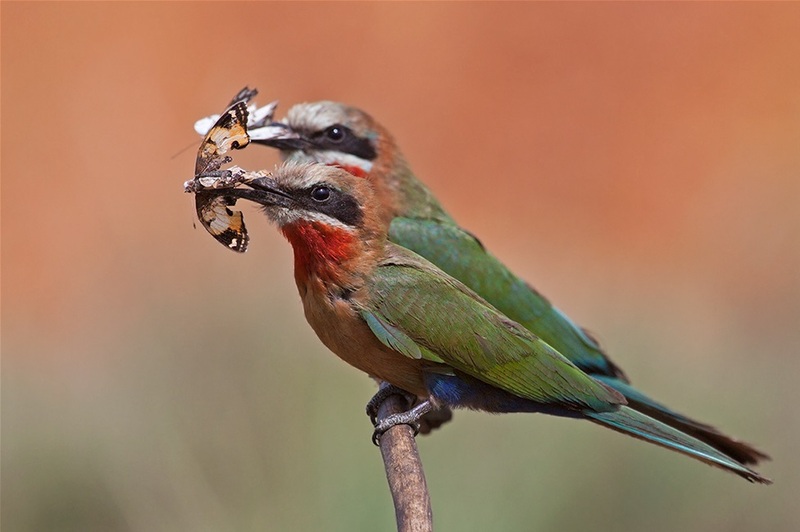 “We observed for the first time how a male and female would sit together on a perch before mating. 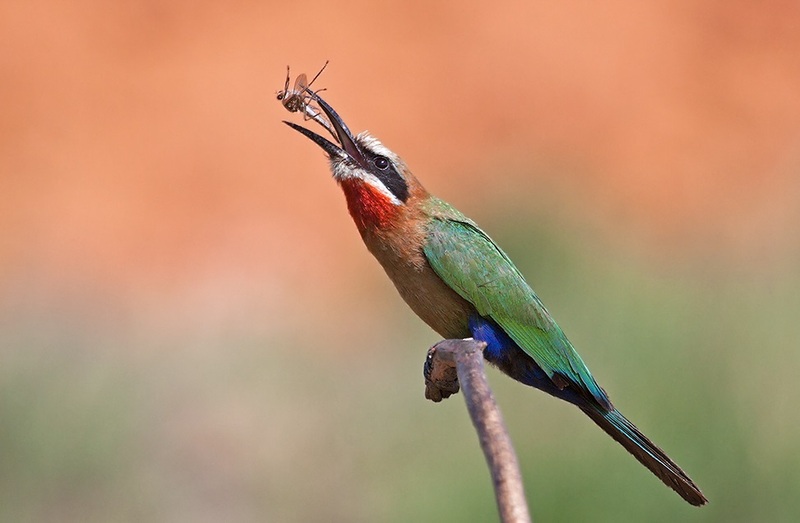 The male would catch an insect and bring it back to the female. 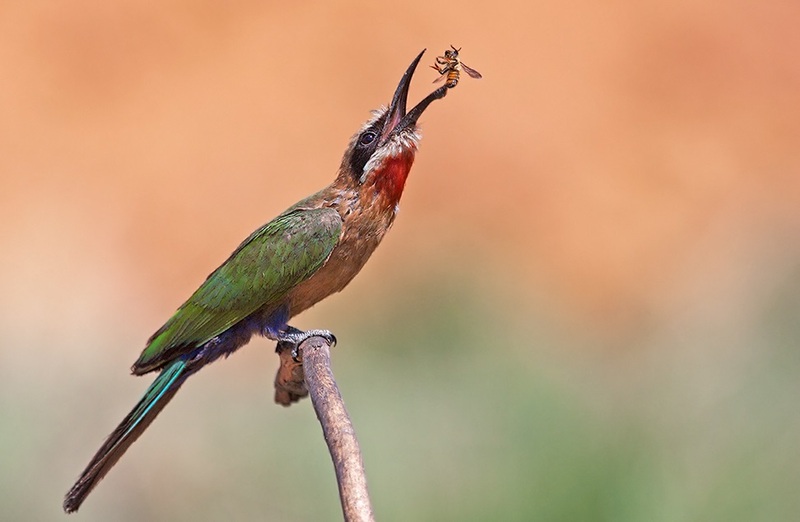 He would then smack the bee against the perch [to remove the sting] while the female waited patiently.” After being presented with about three food items, the female would allow the male to mate. Jan explains the nesting sites are tunnels in banks, while the egg laying takes place at the end of September with an incubation period of about 20 days. 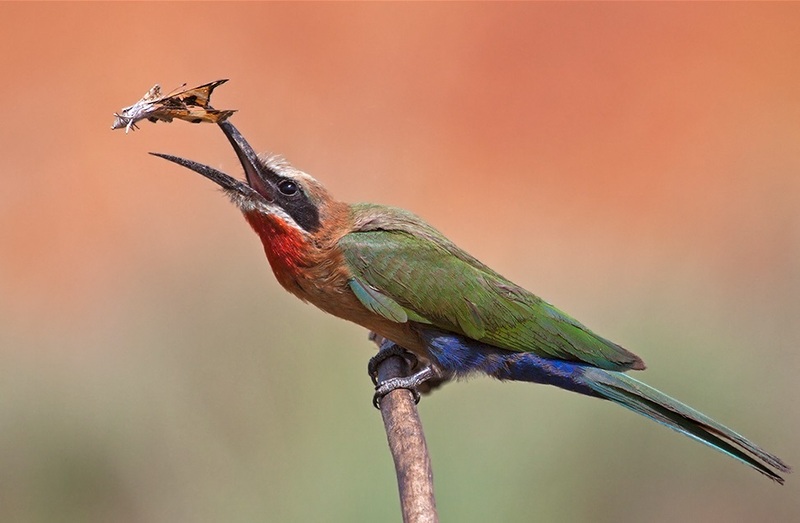 “The female spends most of the time in the nest with the male bringing her food. The nest becomes very active after the chicks are born. During this time the entire colony helps with the feeding process of the chicks. Depending on the light, Jan shot on ISO 400 to 800. He used F7.4 to focus in on the detail in the bird and soften the background. 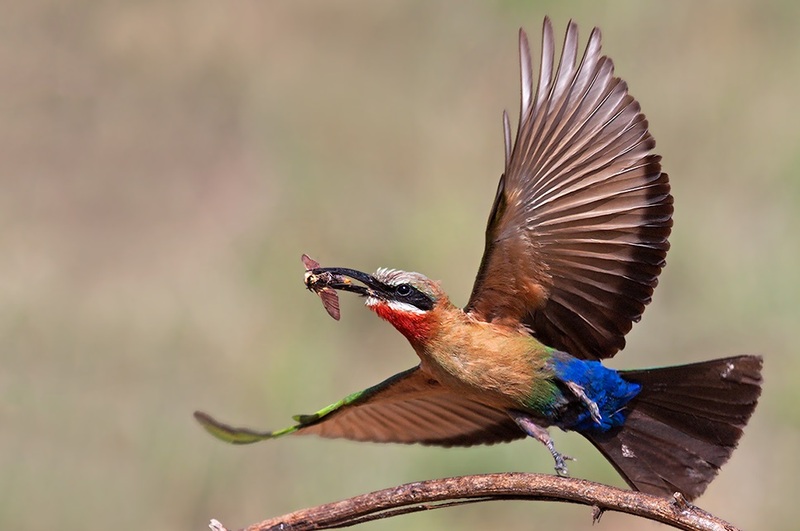 He used a fast shutter speed to capture the birds in action, mostly between 1/1800 sec and 1/3000 sec. Share you bird sightings with us! 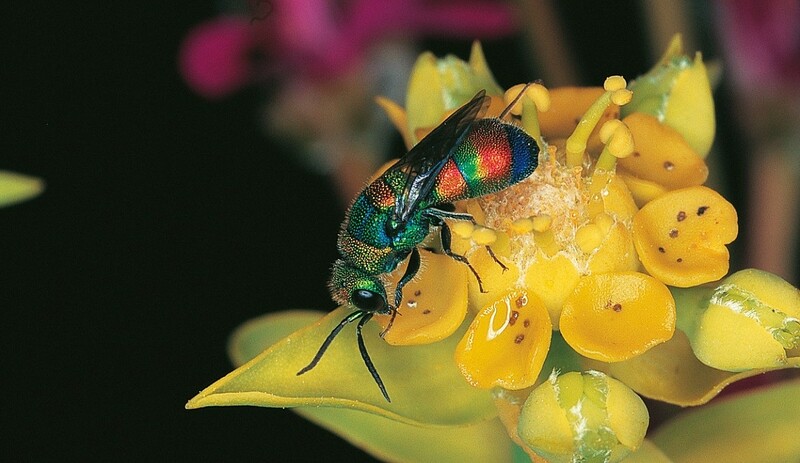 Email your images to [email protected] and your pictures could be featured in one of Wild’s upcoming e-newsletters.